EDIT: The flyer has now been updated to include contact information (9/18/2013). We will be having our 2nd annual Picnic in the Park on Sunday, Sept.22 from 11-3 at Fassnight Park. Please feel free to print the flyer (jpg or pdf) and place it somewhere for others to see. We would especially like some up at MSU, Drury or OTC, or other colleges. 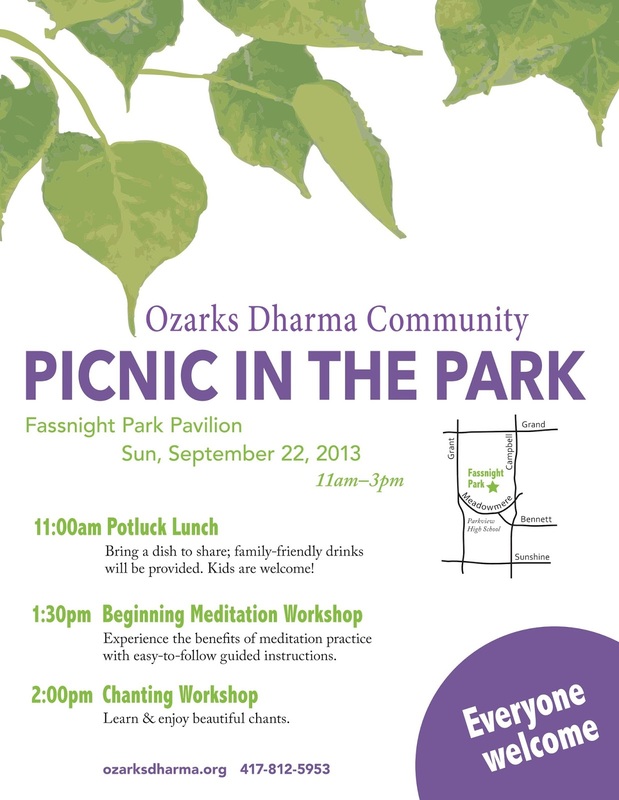 If anyone has any Dharma books that they would like to give for our outreach table, please bring them to the park so we can give them away to anyone that's interested in Buddhism and meditation. We hope you, your family and friends can attend!